There are some days it just doesn’t pay to get out of bed. My girlfriend kicked me out. Then, even my dog didn’t want me, so he ran away. My boss fired me when I called to let him know I was going to be late. And to put the cherry on top of the crap sundae, I accidentally doused a woman in water who had more followers than brain cells. As if becoming one of the most hated men in Queen City wasn’t bad enough, some lunatic was stalking the popular life coach I had soaked. The fucker should be running from Zoey, not watching, especially with me protecting her. Some fuckers must learn the hard way, and I’m going to be the one to teach him. You don’t mess with anyone who belongs to a Predator. It was a perfect day … until I met Stump. I found a new friend, reached half a million followers, and was on the brink of putting my past behind me when the crazy biker accused me of stealing his dog. To make matters worse, he then blamed me for people hating on him. He did that with no help from me. I don’t blame the dog for running away. I would, too, if I belonged to him. My skills as a life coach don’t work on him. I might not be able to change the irritating Predator, but I’m not above using him to catch the one who wants me dead. This work of fiction is intended for mature audiences only. 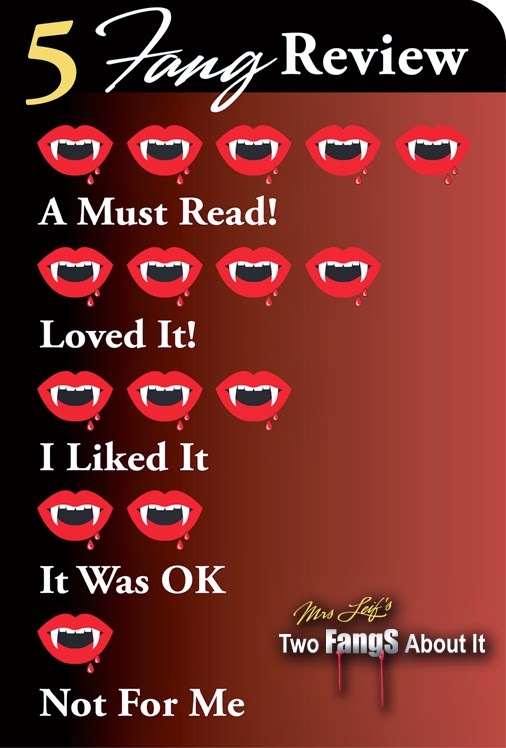 All sexually active characters portrayed in this ebook are eighteen years of age or older. Please do not buy if strong sexual situations, multiple partners, violence, child abuse, and explicit language offends you. I'm not sure what it's going on but I didn't love Stalked. I used to love all of Jamie Begley's books but lately, I'm just not falling in love with her main characters. 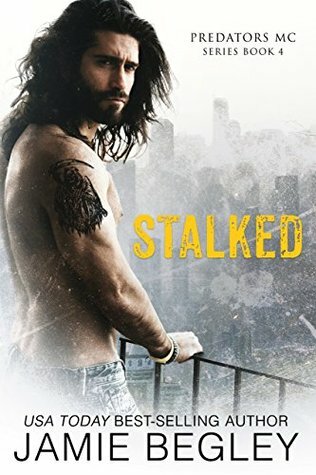 Stalked is about Zoey and Stump. Zoey moved to Queen City a few years ago. Her childhood wasn't a perfect one. Her mother was absent and her father moved her too many times to count or remember. Presently, she's a life coach and she loves her work. She keeps her past to herself but she has befriended Grace and Penni who share an office in the same building. When Zoey finds a dog outside the building, she can't leave him alone. She's able to take him in and even though she wants to keep him when the true owner comes forward she relinquishes him. Stump is a Predator. He loves his brothers in the MC but he's happy he doesn't have an old lady to nag him. He likes his life uncomplicated. Who needs an old lady when you can have a great dog instead? When Hannibal (his dog) goes missing, Stump is determined to find him. He's on his bike looking for Hannibal and in his haste, he doesn't realize he drenches Zoey with his motorcycle until much later when a stranger tries to hit him with his car. What Stump doesn't know is that Zoey has many followers on social media and when she posted a picture of Stump leaving her soaked, the followers aren't happy and they are going to show Stump their displeasure. Stalked had some of the humor that I have come to expect from Jamie Begleys' books. It's always nice to see the Last Riders popping in for a cameo. Greer and Shade were both awesome in this book. I liked Zoey. She had a way to see the positive in people and in this world. She was sweet, caring and a good friend to Penni and Grace. I'm just not sure what she saw in Stump. Stump was rude, called her names and never liked to apologize to Zoey. But, my main problem is the execution of his profession of love towards Zoey. No man should do it under those circumstances. It just felt wrong and disrespectful to me. I was also not happy with the rushed ending. I felt like they were too many unanswered questions in this one. I don't know. I missed the earlier Last Rider's books.